This is one of a series of about 10 posters produced by school children in France during the 1st world war. They were all about conservation of resources for the war effort. 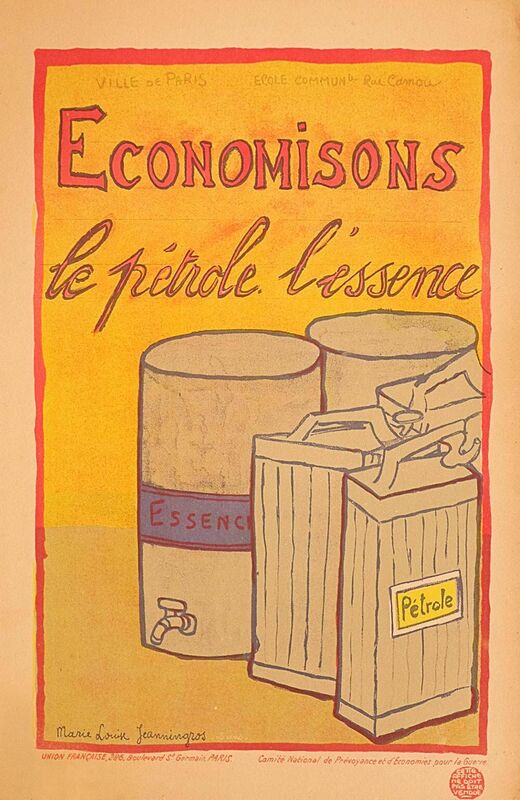 This one is for the economizing of Gasoline. They are becoming very scarce!